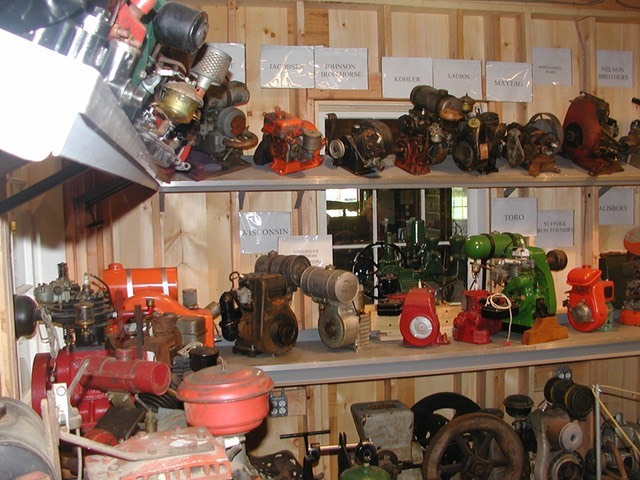 The Small Engine Shop, located in the Diebold Agricultural Hall, houses a large collection of small engines. We exhibit a wide variety of small gasoline engines that were very common in the early part of the last century. Dozens of different engines are on permanent display in a space reminescent of a small town repair shop.